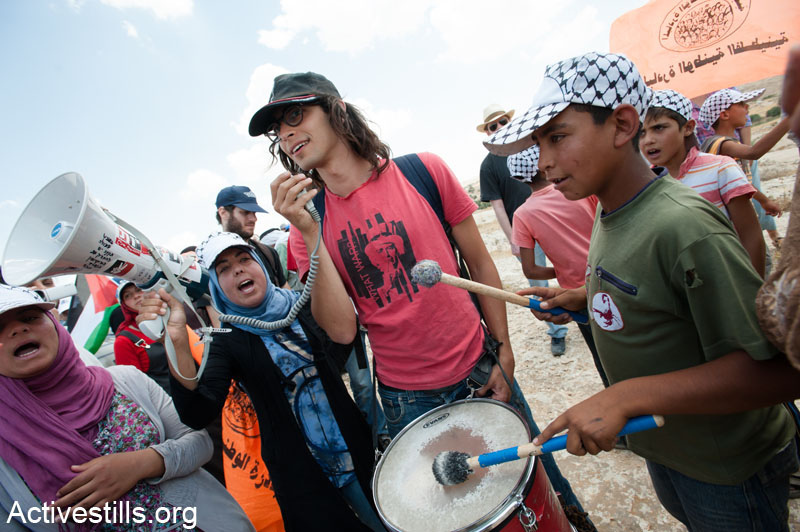 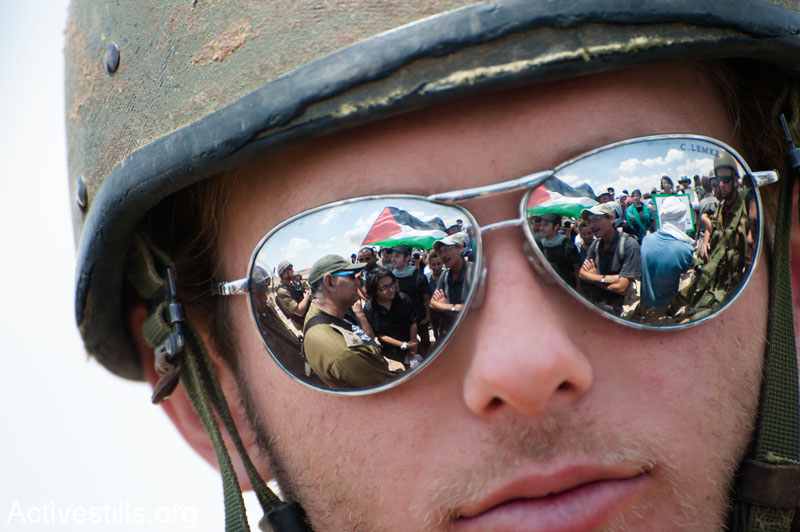 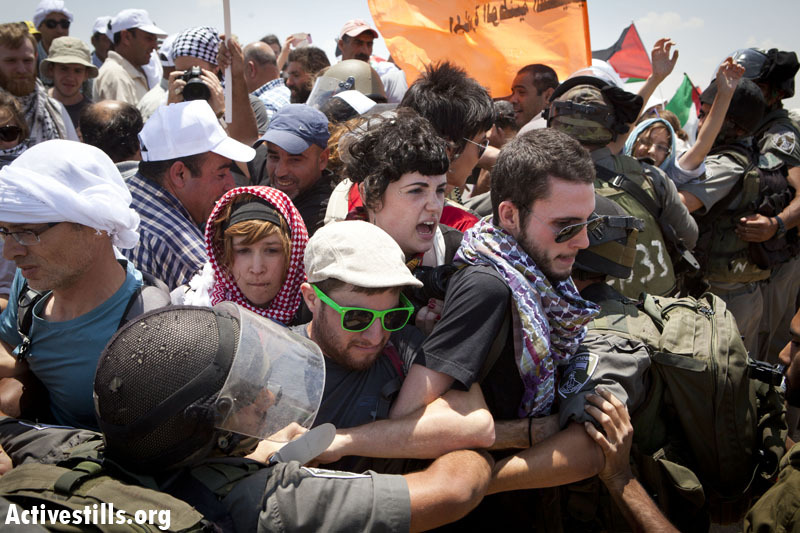 Solidarity Demo in the village of Susiya, located in South Hebron hills , June 22, 2012. 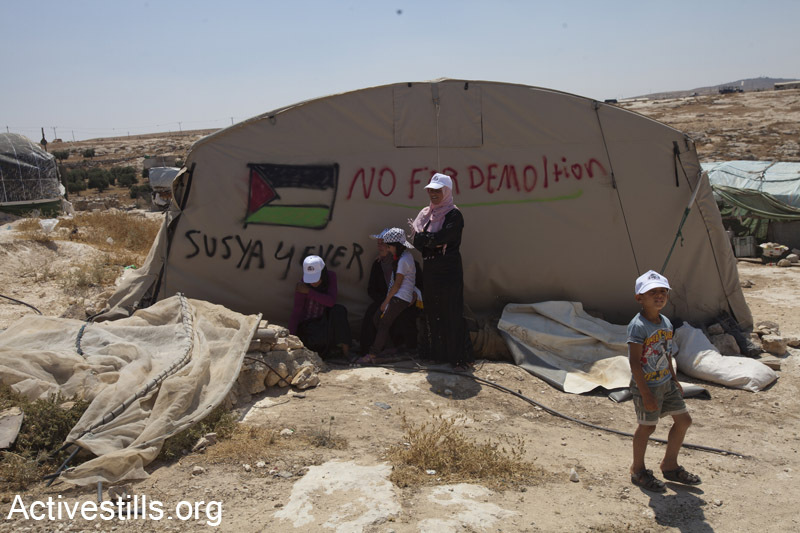 The village of Susiya is under threat of being totally demolished by the Israeli authorities. 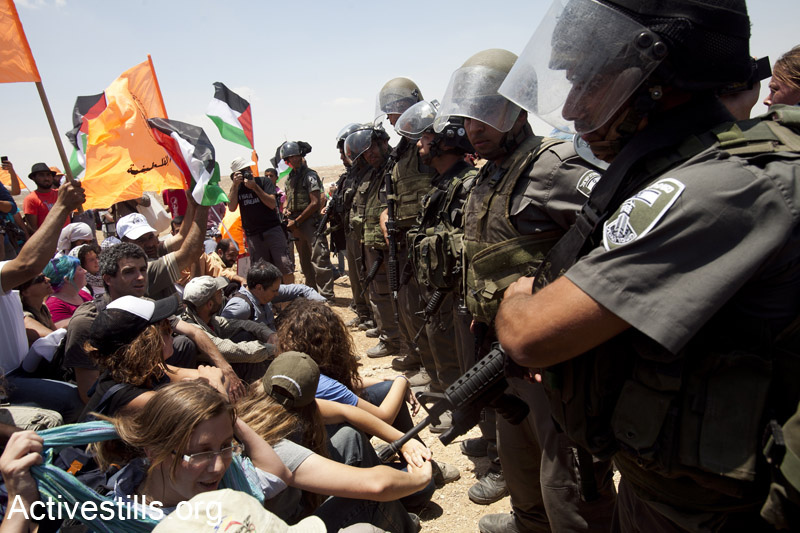 On Tuesday, 12 June 2012, Israel’s Civil Administration distributed demolition orders to over 50 structures in the village. 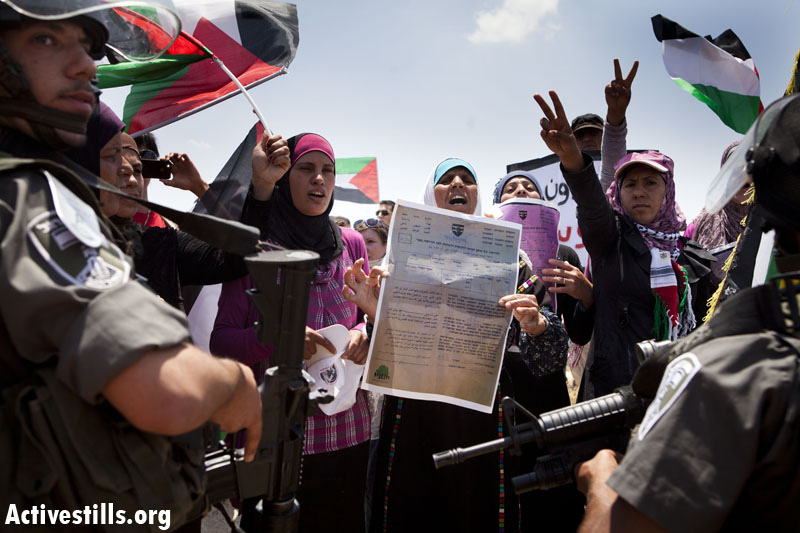 There are also demolition orders for a shop, a clinic, a community center and solar panels.. 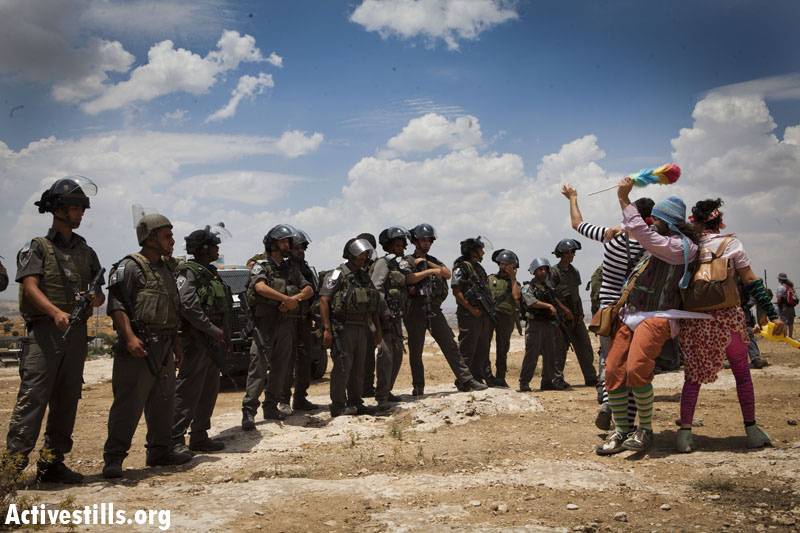 The residents did appeal and obtained a two-weeks freeze order. 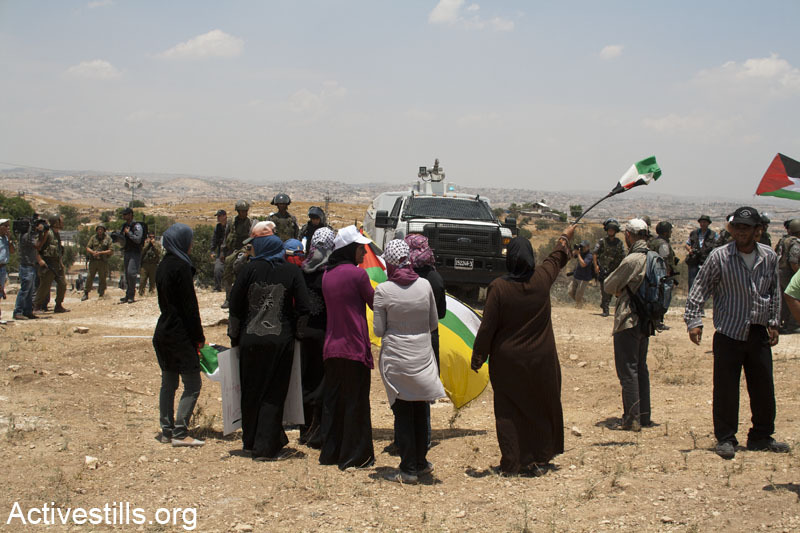 The village of Susiya, located in area C, is surrounded by settlements and has faced countless attacks by settlers and harassment by the Israeli army.